In conjunction with the Pennsylvania Rock Show and AK Music Scene. The Weekly RockBlog is devoted to new up and coming music from across the state and beyond. In this segment, we will review new music of all genres, talk about current musical trends, offer insight into local scenes across the country and provide some tips and tricks on promotion. So sit back, grab a drink, turn up the volume and let’s take a journey into some new music! Hey there…welcome to the inaugural episode (Episode #1) of the Weekly RockBlog! Don’t let the name scare you, it’s a bit ominous sounding…but I’ve had a chance to take a “sneak peak” listen of their new release and I’m telling you, they deliver a hard hitting punch, right in the face, but their music is very approachable. Homicide Black conjures images of darkness, despair and salvation telling epic tales while delivering a straightforward onslaught of crushing metal. 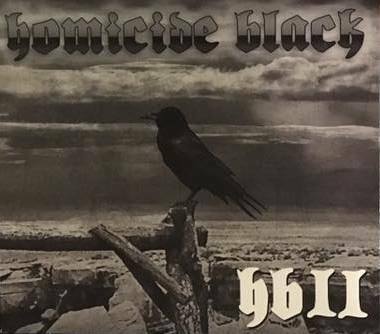 They claim to be the perfect remedy for a weary, ailing metal world…so without further ado,..let’s check out a track from their new album entitled “Homicide Black II “….This is “Where My Demons Lie” by Homicide Black! Personally, I really liked this track and I am going to have to go see these guys live! You can hear the raw power in their music and it hits hard and heavy, but it’s also very melodic at the same time. The lead vocals remind me of a cross between Shawn Albro (formerly of the band UPO) a bit of Dave Mustaine from Megadeth, a hint of Rob Halford of Judas Priest and definitely some Bruce Dickinson of Iron Maiden. Their sound definitely takes me back to late 80’s, early 90’s metal and hard rock. The tracks on this new release show very strong musicianship: heavy hitting riffs, melodic guitar solos, strong lead vocals and harmonies. Trust me…i’m a singer and i know a good rock voice when i hear it and Sean definitely has some pipes. Any hard rock/metal band can play loud and give you hard hitting riffs, but most of the time their vocals lack real talent and depth and really drag down the overall sound of the band… but not Homicide Black..Sean really brings it! The backline of this band (bass and drums) is very powerful and in sync with each other and provide a good solid base to the overall structure of their music. To me, it feels like they have a good sense of what they want their sound to be and they own it! What i really dig about these guys is their balls to the wall, straight up hard rock/metal sound…there’s no filler crap in their songs. If I were to compare their overall sound,..i’d say a bit like Black Label Society, a little Alice in Chains, a bit of Black Sabbath and Iron Maiden, but they definitely have their own sound! The production quality of this release is superb,..so kudos to their recording engineers! Overall I give Homicide Black’s new release a big thumbs up! They have an upcoming CD Release Party on October 28, 2016 @ Peter B’s in Sarver, PA.
Go out and see these guys live, buy their cd and support LOCAL MUSIC. Thanks for hanging out…see you next week for another episode in which we will delve a bit into our Local Western Pennsylvania Music Scene, provide some tips and tricks to self promotion and listen to some new kickass music. Take care, be good to each other and get out and support local, live music! Music used in Weekly RockBlog provided under license by Blubrry Podsafe Music and Jamendo Music, “The Independent Music Community”, visit www.jamendo.com to discover new indie artists.